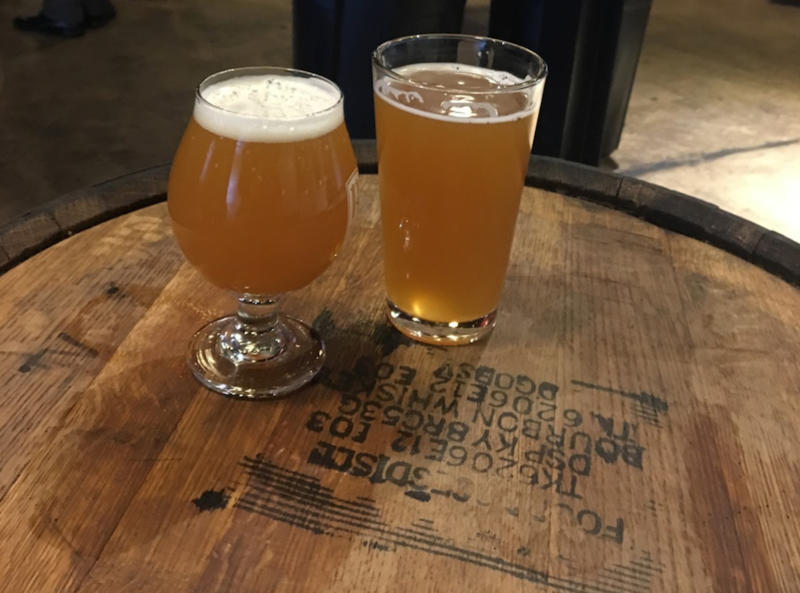 In the spirit of St. Patrick’s day happening this past weekend, I headed out to Raleigh Brewing Company for this week’s Tasty Tuesday to enjoy three of my favorite things: food, beer, and dogs. Yes, you read that right, the Raleigh Brewing Company (also known as the RBC) allows patrons to bring their pups along with them to enjoy all the sites and smells of the establishment. Located at the intersection of Hillsborough Street and Elizabeth Street, the RBC produces a variety of home brewed beers and entertainment. RBC offers six year-round brews, three seasonals, and different experimental batches each day. Their beers are sold all over Wake County and the bar itself is designed with Raleigh in mind. I had the pleasure of trying both a seasonal beer and a year-round beer to get the full experience. The First Squeeze was first, a seasonal beer described by the bartender as light and fruity. Classified as an American Wheat Ale, it was crisp and delicious. Even though it only hit a high of 40 degrees while I was there, I can imagine the First Squeeze being very refreshing on a hot summer’s day. I also tried The Walter, an Imperial IPA with similar fruity hints to it as the First Squeeze. I would highly recommend either, especially the First Squeeze which will only be around until August. If a variety of location-brewed beer doesn’t make the RBC great enough, they also have a different food truck every Monday through Friday starting at 6:00 p.m.! 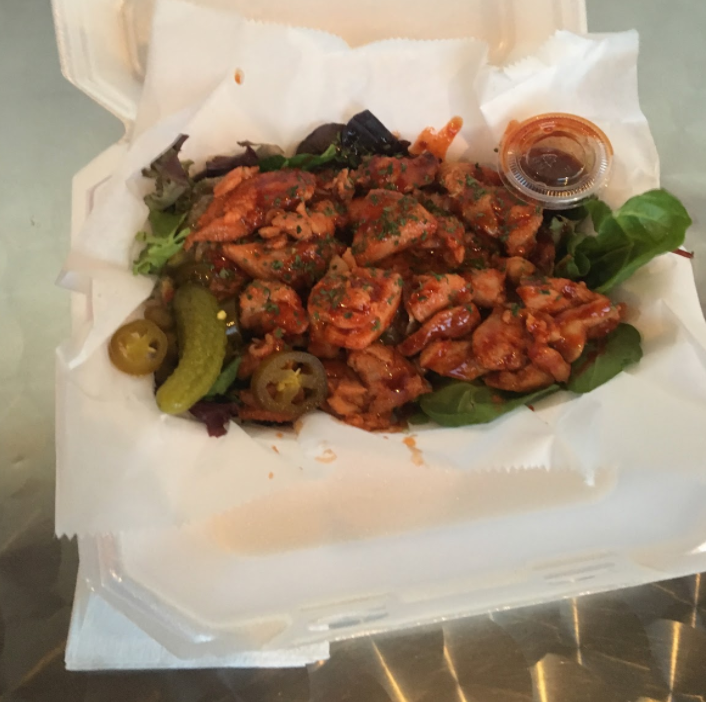 There are no boundaries with food, as the food truck types range from deep-fried hot dogs to queso to authentic Korean cuisine. 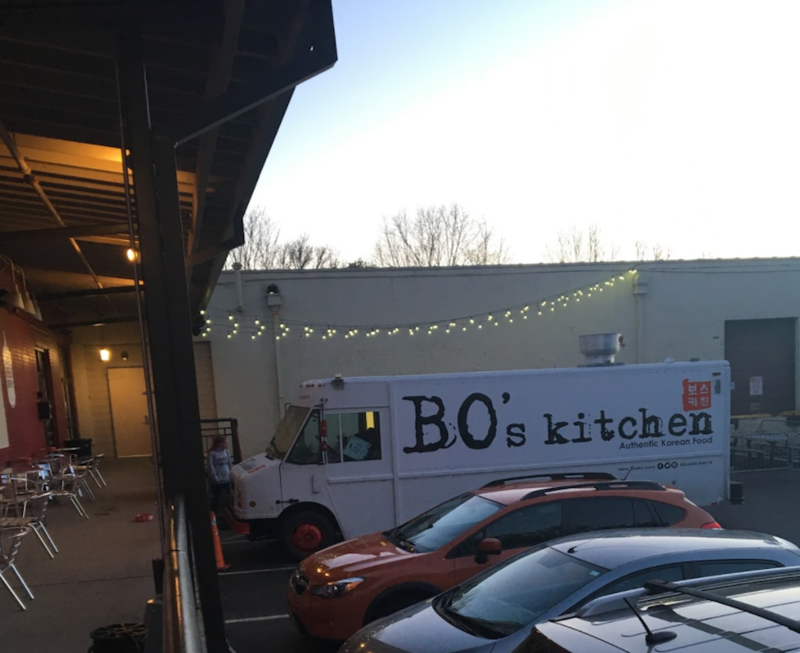 Bo’s Kitchen was Tuesday’s food truck, where I ordered Beef Mandu (a type of dumpling) topped with chicken. If you have never tried Korean food you are missing out because this meal was amazing! It was very filling, spicy, and hit the spot. There is no set order for when which food truck will be present at RBC so it’s a surprise every time, but if you don’t like surprises don’t worry, you can look up the schedule of food trucks on the RBC website! 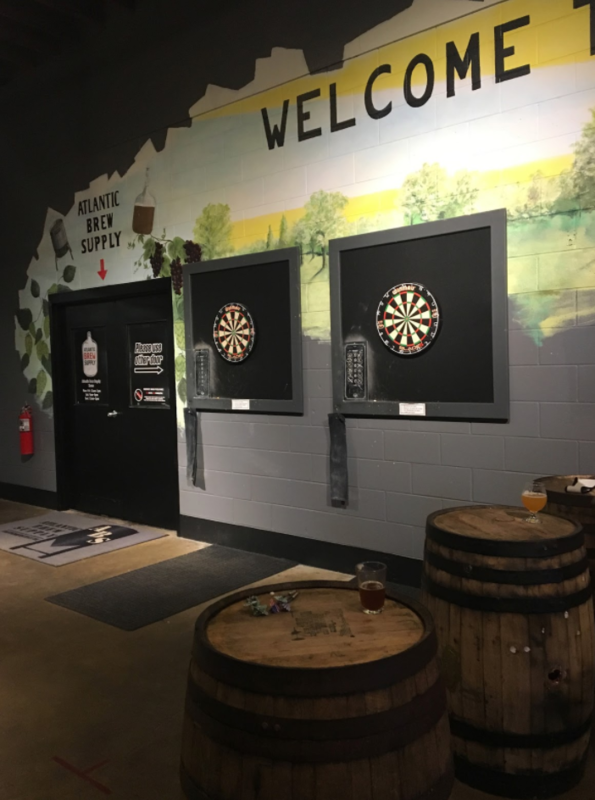 Along with good food and beer, the Raleigh Brewing Company has events that patrons can participate in every week. Start your day with Pints and Poses Yoga on Sundays at 10:30 a.m., take a break Monday with Beer and Board Games held all day, and beat the hump day struggle with a round of Team Trivia Wednesday nights at 8 p.m. RBC also offers brewery tours on the first and third Saturday of every month! 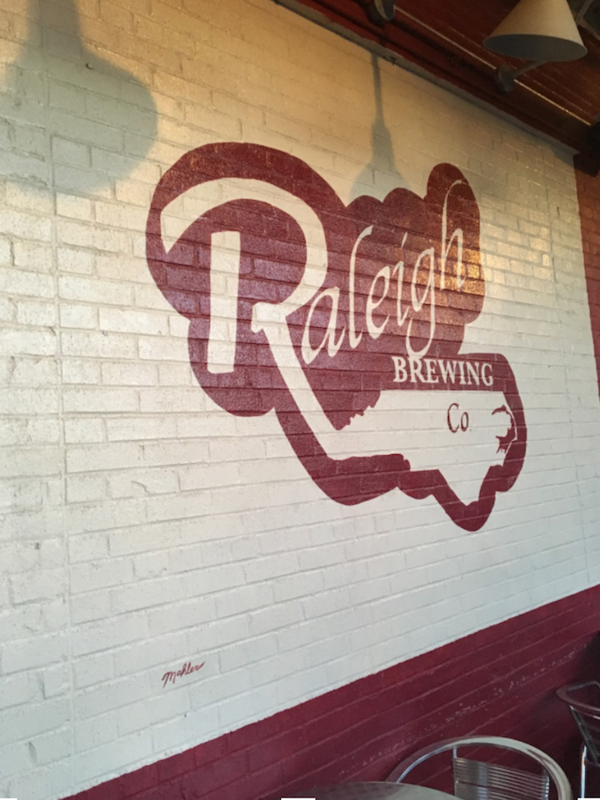 Whether you’re looking for a place to unwind after work or if you want to have a fun, relaxing night out with friends, the Raleigh Brewing Company is the place to go. **Also a special shoutout to the Raleigh Brewing Company for sponsoring our Beer Zone at this year’s Live and Local: Spring Fest! !